This image was taken at Vandalur zoo. 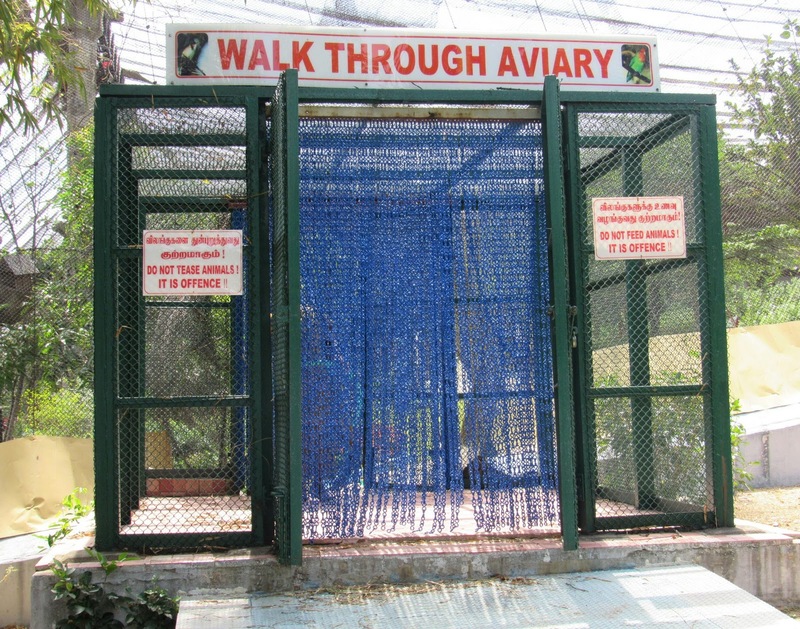 There they have created an Aviary for the birds. We can walk through the Aviary and enjoy looking at the birds. But don't forgot to follow the rules what they have mentioned at the entrance.